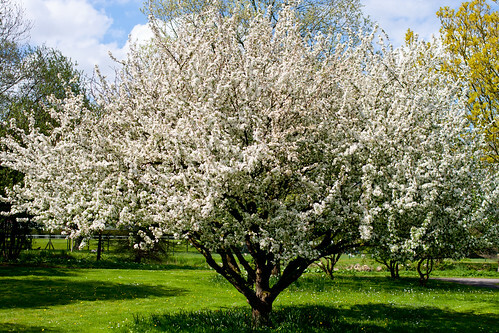 Malus pumila (apples) belongs in the family Rosaceae, comprising also roses and some other fruit species such as raspberries, plums, and pears. Apples are often eaten fresh but may also be used for cooking and the production of cider and vinegar. They blossom in spring.